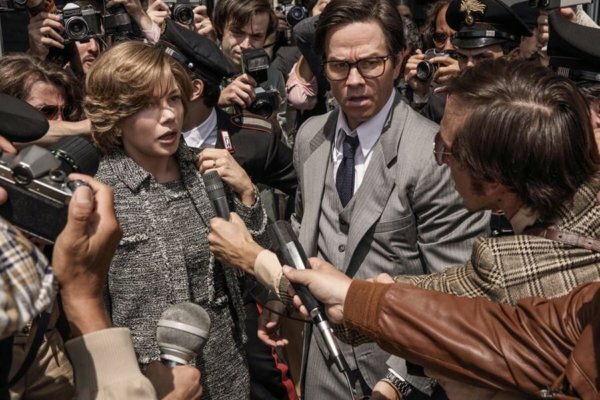 NEW YORK (CNS) — By turns suspenseful, darkly comic and stridently moral, “All the Money in the World” (Sony), a slightly fictionalized account of a famous kidnapping, makes a strong case that immense wealth not only can’t buy happiness, it also imposes depths of misery that few ever know. As scripted by David Scarpa from John Pearson’s 1995 book “Painfully Rich,” it’s an outstanding example of multilayered, mature filmmaking from director Ridley Scott. Occasionally some leaden dialogue, meant to underline a point, slows down the proceedings. But overall, Scott lays out the story so carefully, he doesn’t miss a nuance in all the ways that riches can cloud judgments and warp the soul. Unlike Howard Hughes, Getty wasn’t a recluse. But his notion of interpersonal relations went far beyond mere eccentricity. He ensconced himself in baronial splendor outside London, imagined himself the reincarnation of the Roman emperor Hadrian, and was so miserly that he had a phone booth installed for the use of his houseguests. He also collected ancient art, reasoning that artworks, unlike people, contain a kind of creative soul that might give him comfort — or at the least, wouldn’t annoy him about his wealth. So when his grandson is kidnapped and a demand of $17 million follows, the old man refuses to even consider it on the excuse that, by cooperating, he would subject his 14 other grandchildren to a similar risk. This puts him into immediate conflict with his former daughter-in-law, Gail (Michelle Williams), the lone moral force of the story. Gail had refused alimony when she and Getty’s alcoholic son, John Paul Getty II (Andrew Buchan), divorced. In exchange, she asked for full custody of their son. Gail has since gotten by without the old man’s money. She’s immune to the blandishments of riches. But now she has to deal with the kidnappers — who occasionally get in touch via non-traceable pay-phone calls — with the help of ex-CIA agent Fletcher Chace (Mark Wahlberg). The captors, including John Paul’s “minder,” Cinquanta (Romain Duris), are confused to find that they’re dealing with a dysfunctional family. Their expectations of reasonable, “moral” decisions from Getty are confounded at every turn. They eventually sell the boy to another, more violent, group who finally get the world’s attention months later when, in another famous moment, they slice off a portion of his right ear and mail it to a newspaper. Most of the plot is taken up with Gail and Fletcher devising strategies to out-negotiate both the old man and the kidnappers without descending into panic. The result is a complex exploration of large questions about human behavior that never veers into pedantry and that many grown viewers will find compelling. The film contains mature themes, fleeting gore and frequent rough language. The Catholic News Service classification is A-III — adults. The Motion Picture Association of America rating is R — restricted. Under 17 requires accompanying parent or adult guardian.